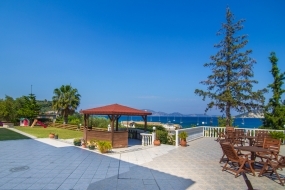 The complex of holiday apartments "Villa Panorama" offers unique vacations at the most beautiful and picturesque region of Zakynthos - Limni Keri beach. 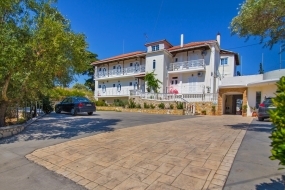 Situated, correspondingly, on the top of the small hill on the opposite site of Marathonissi Island and at a distance of only 50 meters from the beach, the holiday complex offers to the visitors traditional hospitality, relaxing atmosphere, and panoramic view both to the beautiful gulf of Laganas and to the impressive natural beauty of the surrounding mountains. 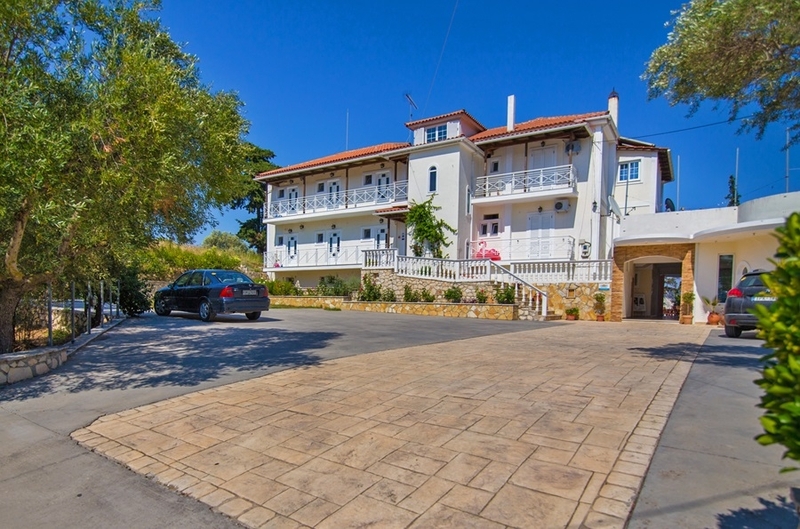 Those visitors that search for real relaxation, for the calmness of the sea and the serenity of nature during their vacations, "Villa Panorama" complex at Limni Keri is their choice. The studios of Villa Panorama have a large sea view balcony and are fully equipped (electric cooker, refrigerator, spacious bathroom, cold and hot water, TV and air conditioner, fan etc.). The studios have one double bed and one single bed or two single beds and can accommodate 2-3 persons. The simplicity and the luxury in the internal planning and the comforts in combination with the green that surrounds the complex create a unique hospitable and comfortable atmosphere, ideal for those who look for relaxation and quiet holidays. The prepayment in our bank account (in advance) should be completed maximum 3 working days after day of reservation procedure. If you use credit card you give us the right to charge you according with the prepayment written in our reservation system and in your email coming from our system. In case of cancellation within 60 days we will charge the prepayment and send you the invoice of the cancellations fees. No right to refund the prepayment and this is concerned as cancellation fees. In case of no show we have the right to charge you 50% of the full amount of reservation cost. In case of early departure you must pay or we will charge you (except the overnights reservation cost so far) additional 50 % of the remaining overnights cost. If not accepted these conditions please do not procceed to the reservation ! Your credit card will be charged with 100% of the total amount upon confirmation of the requested booking, which is non-refundable. No free cancellation is allowed for this rate, special conditions apply. The total amount for your booking which is payable upon confirmation is non-refundable. This reservation can not be cancelled or modified. 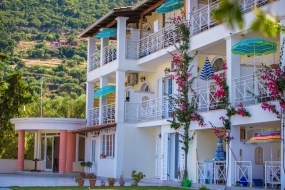 The junior apartment has a large balcony with the sea view,it is full equipped (electric cooker, refrigerator, spacious bathroom, cold and hot water, TV and air conditioner, fan etc.). The apartment can accommodate even families of 3-4 members ( 3 adults and 1 child ). The simplicity and the luxury in the internal planning and the comforts in combination with the green, that surrounds the complex, create a unique hospitable and comfortable atmosphere, ideal for the families and couples who look for relaxation and quiet holidays. 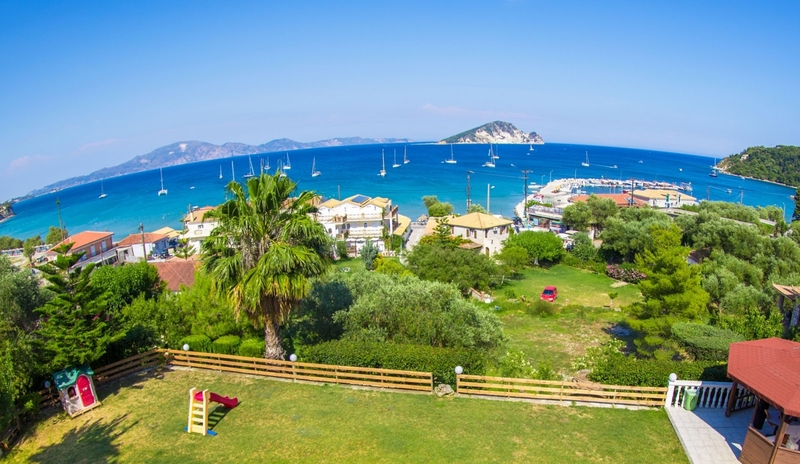 The one bedroom apartment has a large balcony with the sea view. The one bedroom apartments are fully equipped by electric cooker, refrigerator, spacious bathroom, cold and hot water, TV and air conditioner, fan etc.). The one bedroom apartment can accommodate even families of 4 members. The simplicity and the luxury in the internal planning and the comforts in combination with the green, that surrounds the complex, create a unique hospitable and comfortable atmosphere, ideal for the families and couples who look for relaxation and quiet holidays. 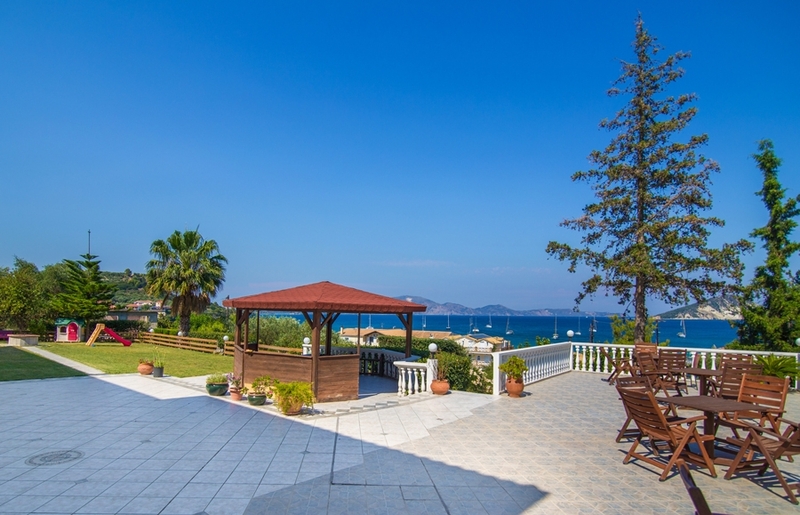 The two rooms apartments have a large balcony with the sea view. The two rooms apartments are full equipped electric cooker, refrigerator, spacious bathroom, cold and hot water, TV and air conditioner, fan etc.). The two rooms apartments can accommodate even families of 4-5 members. The simplicity and the luxury in the internal planning and the comforts in combination with the green, that surrounds the complex, create a unique hospitable and comfortable atmosphere, ideal for the families and couples who look for relaxation and quiet holidays.